The MD of the production arm of Scottish broadcaster STV is to leave the company in May. Alan Clements, MD of STV Productions, has been behind shows including Antiques Road Trip, Catchphrase and BBC drama The Thriller. 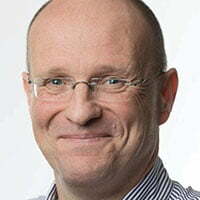 His exit comes a month after STV CEO Simon Pitts said he would be carrying out a strategic review of the business after pre-tax profits slipped. Pitts, who joined STV last year, said: “As we embark on a new growth strategy for the business, the time is right for fresh creative leadership. A process to appoint a successor has started. Last month STV productions appointed a new head of daytime and popular factual to oversee domestic and international growth. Clements said: “I am sad to be leaving the great team at STV Productions but delighted I leave the company in such good shape.